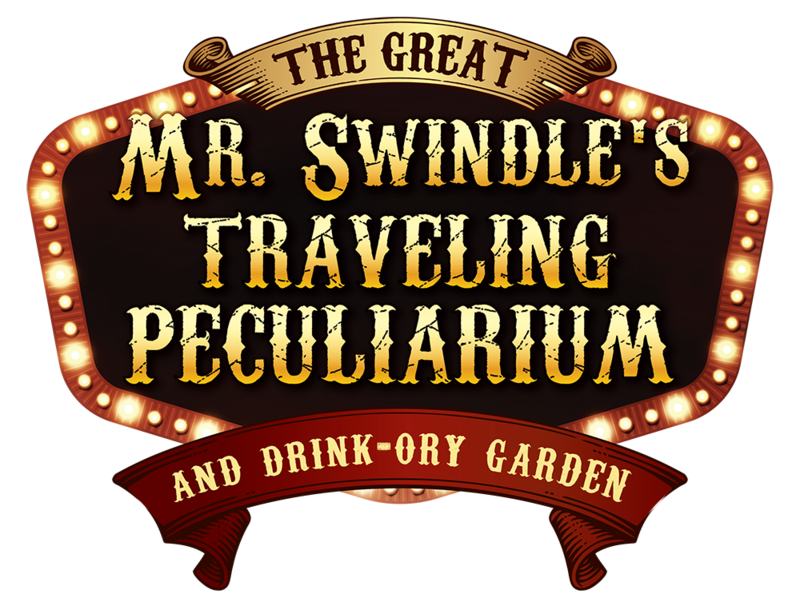 The only words capable of justifying the excitement to be experienced at The Great Mr. Swindle’s Traveling Peculiarium is “Absolutely Outrageous”. Mr. B.S. Swindler AKA Mr. Swindle hosts his captivating 90-minute extravaganza under his hypnotical Big-Top delighting his audience with an unparalleled exhibition of classic vintage amusement, live acrobats and comedy. Don’t miss the opportunity to witness the dawn of entertainment as the past comes to the future and bewitches the spectators that dare to observe. Certainly be sure to attend one hour prior to show time to relish in the perplexing potions, bitter brews, and mischievous medicines served in Dr. Elixir’s Drink-Ory Garden. Come one, come all and join us for the exceptional atmospheric celebration impressive for all ages. * Ticket are discounted for Seniors (60+ years) and children (3-9 years). The show takes place under the most intimate of Big Tops. This traveling ODD-Itorium in the round provides an intimate proximity to world class performing artist. The Drink-Ory Garden opens one hour prior to show time. The Drink-Ory Garden is a Beer Garden that serves beer, wine, non-alcoholic beverages. Snacks such as Hot Dogs, Popcorn and Nachos will also be available for sale. The Drink-Ory Garden admission is included in ticket price. Doors to show open 20 minutes prior to show time. Children 2 and Under are free when seating on the lap of a paid adult. One Child per lap. Seating for patrons with accessible needs is available. Please call in advance to reserve or feel free to purchase the designated seating online. Will Call is located on site and opens 2 hours prior to the start of each show. © 2019 ShowClix on behalf of Salto Entertainment. All sales are final. Tickets are non-refundable.